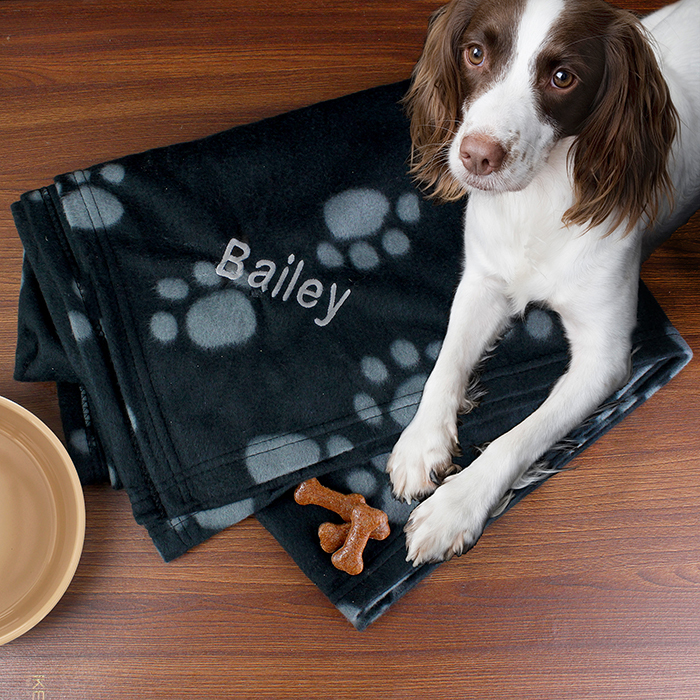 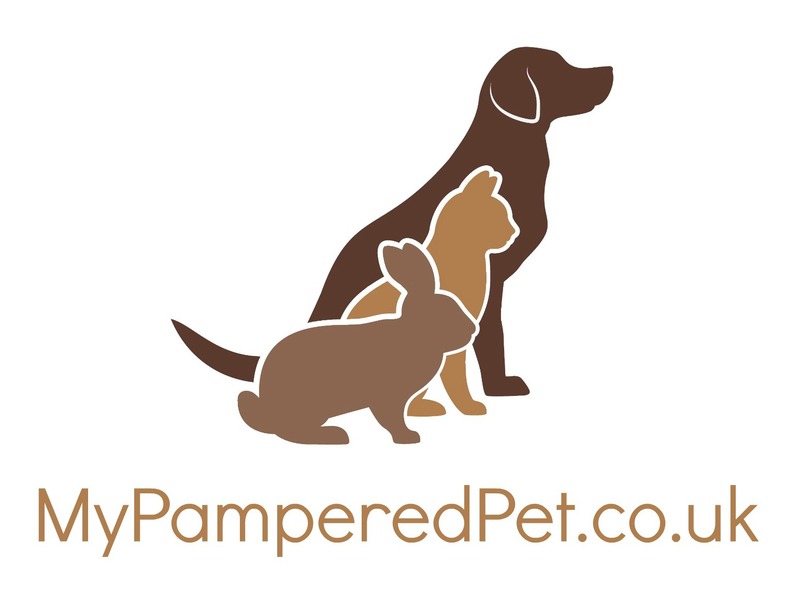 Treat a pampered pooch to their very own Personalised Dog Blanket. 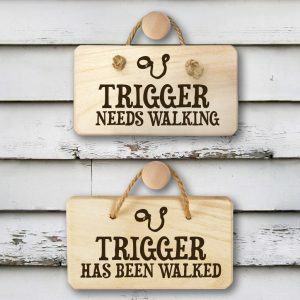 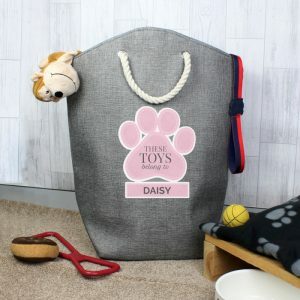 Ideal for adding to their bed or keeping in the car. 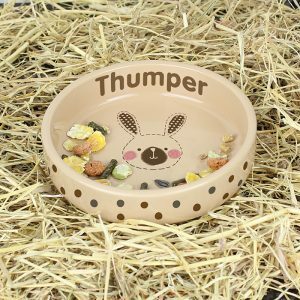 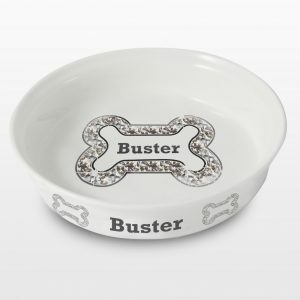 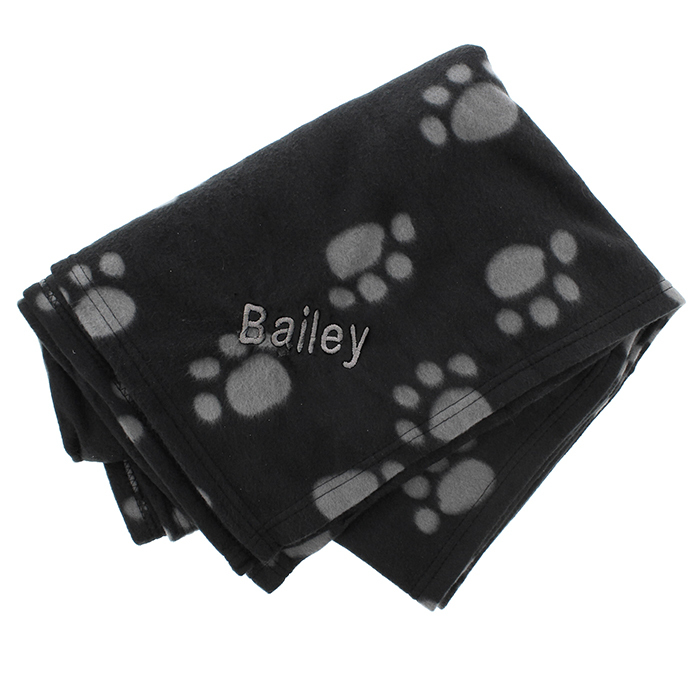 Their very own soft fleece blanket comes in black with grey paw prints and is embroidered with their name.